Cute story, a friend of mine at work who’s name is Ian told me that his daughter got asked to a dance. The boy had asked her using a turtle zip drive saying “I would turtley love it if you went to the dance with me” or something like that so she wanted to reply with a cake that had toad on it so she could say “I will toadaly go to the dance with you”, cute right? So Courtney and I made this little toady cake for her. It is 6″ in diameter and 8″ tall, the cake is our favorite “White Almond Sour Cream Cake” recipe adapted for the chocolate version and the frosting is our favorite “Basic Buttercream Icing” although I didn’t have any milk so I used evaporated milk instead and it tasted just fine. The fondant is all Wilton brand fondant from Michaels. 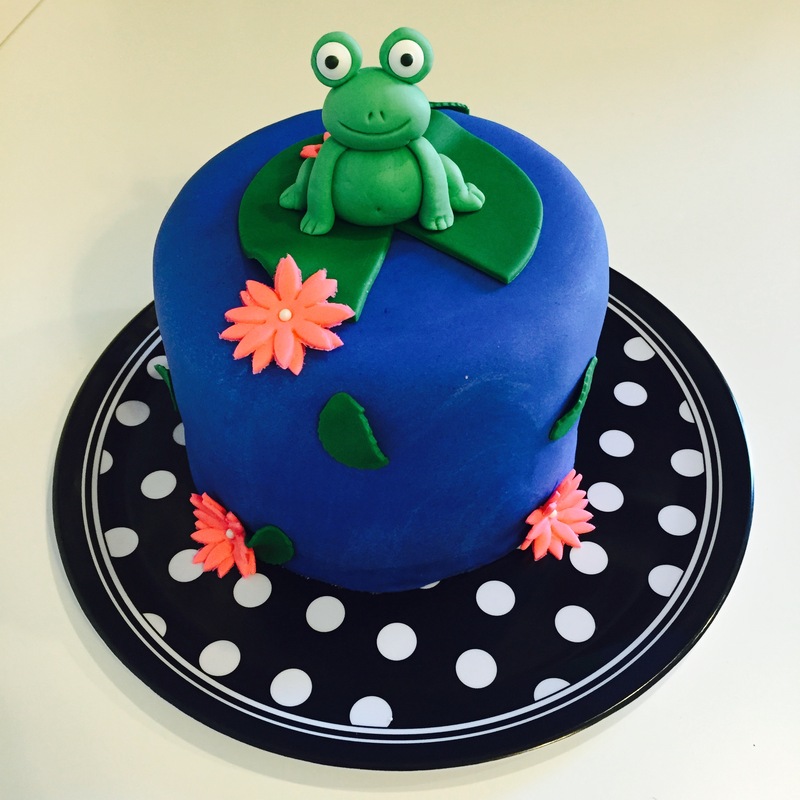 Courtney sculpted the adorable toad and we cut the lily pads and leaves out using some fondant cutters. Pretty cute dance invitation response if you ask me! Have fun Alanna! Thanks, it did come out pretty cute, didn’t it? My daughter gets all the credit for the cuteness factor!